Sorry for the delay, I'm working on getting caught up with my podcasts... but here is the 27th Episode of Head Speaks : The Sword of the Killing Joke! First up on At The Movies With Head, I review the Killing Joke animated movie. Way back when I ranted and raved about the comic... so I must love the movie? Right??? Listen in and find out. Then on "What's In Head's Longbox? 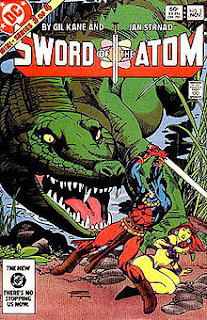 ", we're going to continue taking a look at The Sword of the Atom, with issue 3.